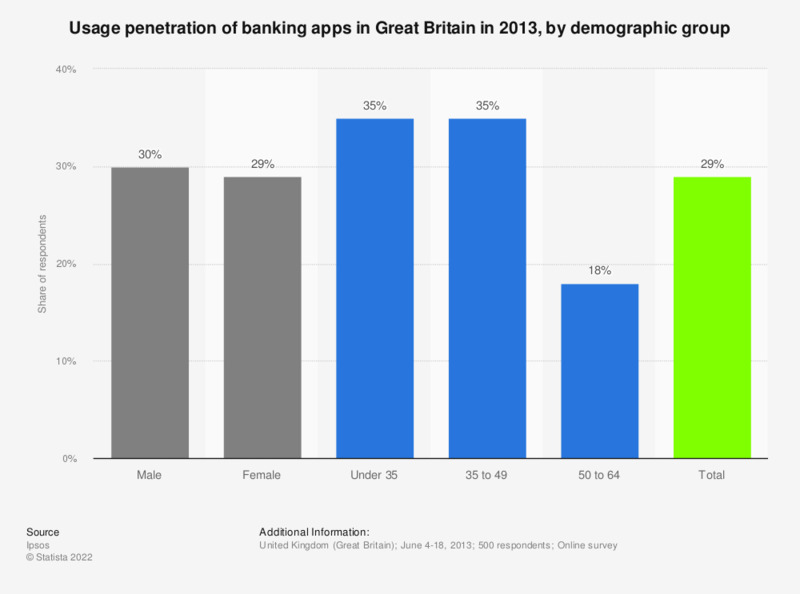 This statistic displays the usage penetration of banking apps in Great Britain as of June 2013, by demographic group. Of female respondents, 29 percent regularly used a banking app, compared to 30 percent of male respondents. * The original survey question read, "Which, if any, of the following apps do you, yourself, regularly use?"